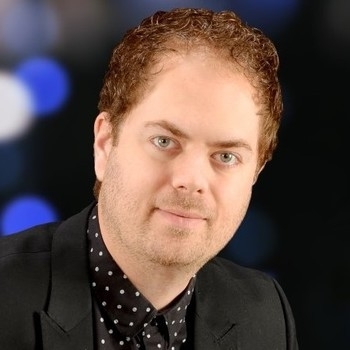 NASHVILLE, Tenn. - Scott MacIntyre captured America's hearts back on season eight of American Idol with not only his powerful voice but his inspiring story. "I've overcome a lot with blindness and kidney failure before Idol. I wouldn't be where I am today without holding on to hope." Scott says. Hope is what he wants to spread with his next album. It doesn't have a title and the songs aren't selected yet, because he's leaving every single decision up to his fans. "They are the reason I am here today and I am hoping they are the reason this will be my best album yet." Scott is using a program called Kickstarter. With your pledge you will get the album two weeks in advance and depending on how much you give, you could get even more. "We have everything from a twitter follow, a vip invite to the release party, a phone call, or even for me come to your house and do a concert." The entire process will be an open book. Scott says using this method seems fitting since his fans are what got him here to begin with. "I am hoping will be an extension of Idol, where we can communicate back and forth and I can keep them in the loop from the ground up." The minimum amount Scott needs to make the album a reality is 25 thousand dollars. While the details may be unknown, Scott says he does know that the album will be full of inspiration. "I want this album to inspire people to overcome any obstacle, to live to the it's fullest, to accomplish goals and see the live they are meant to have unfold before their eyes."